Cardiology Emergencies covers the presentation, investigation, and management of acute cardiac problems that require speedy diagnosis and management. Created as a resource for residents and students, as well as an easy reference guide for physicians, this handbook is organized for quick access and learning. 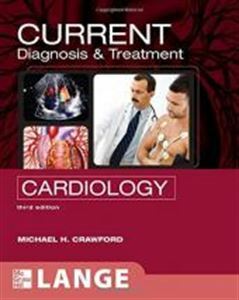 It is divided into three sections: the first provides acute presentations for quick diagnosis, the second addresses specific conditions, and the third offers clear descriptions of how to perform common practical cardiac procedures. 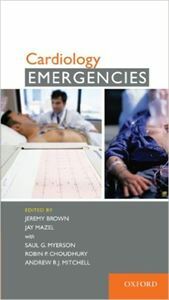 Packed with concisely written summaries and bullet-point information, it is the ideal guide to the practical management of cardiac emergencies. List three investigative radiologic tests which should be performed when aortic dissection is suspected. Name four causes of shock in the cardiac patient. Define the term cardiogenic shock. Define and discuss the causes of sinus bradycardia. Name two principal strategies for the treatment of atrial fibrillation. Define and discuss the two types of aortic dissection. List four causes of pericarditis. List three main approaches to central venous cannulation. Name five of the quickest and most effective methods for restoring sinus rhythm. This is a soft cover book and has 21 chapters and 319 pages.